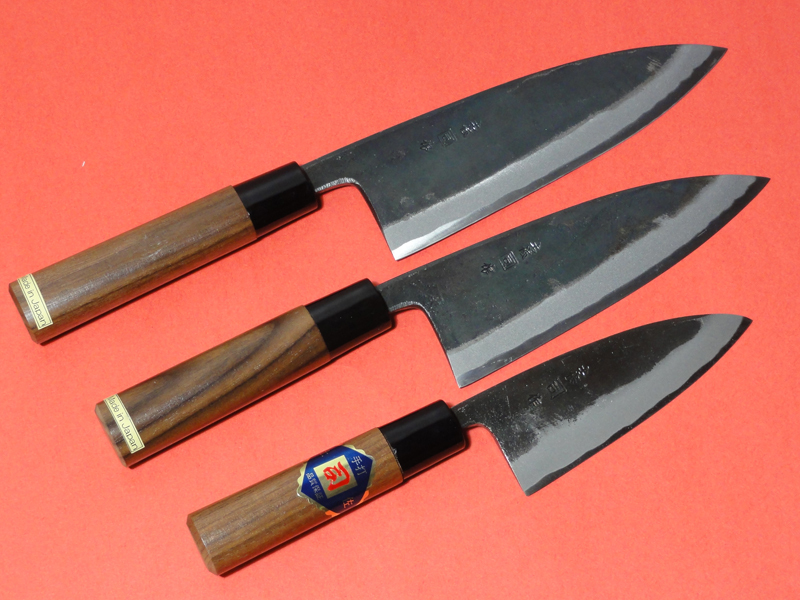 Funayuki is all-purpose knives. 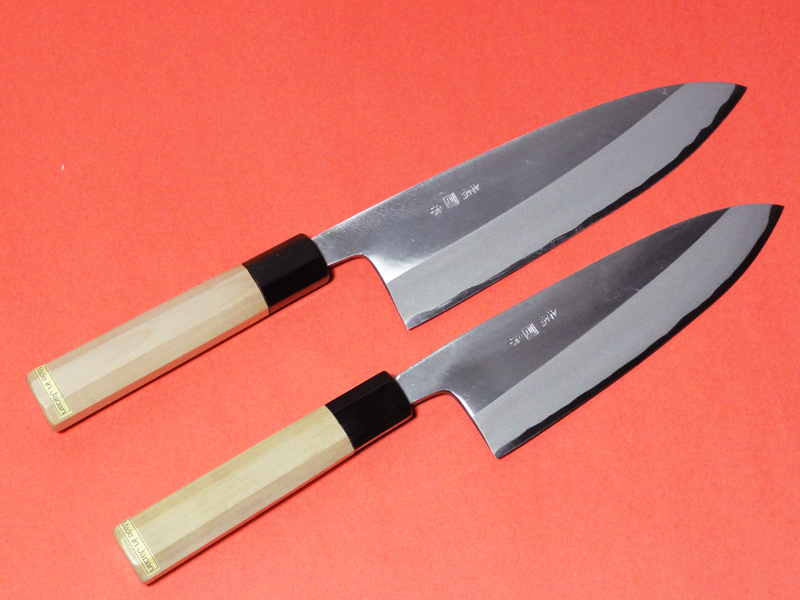 This and Ryo-deba are the same shape, but it is thinner than Ryo-deba. 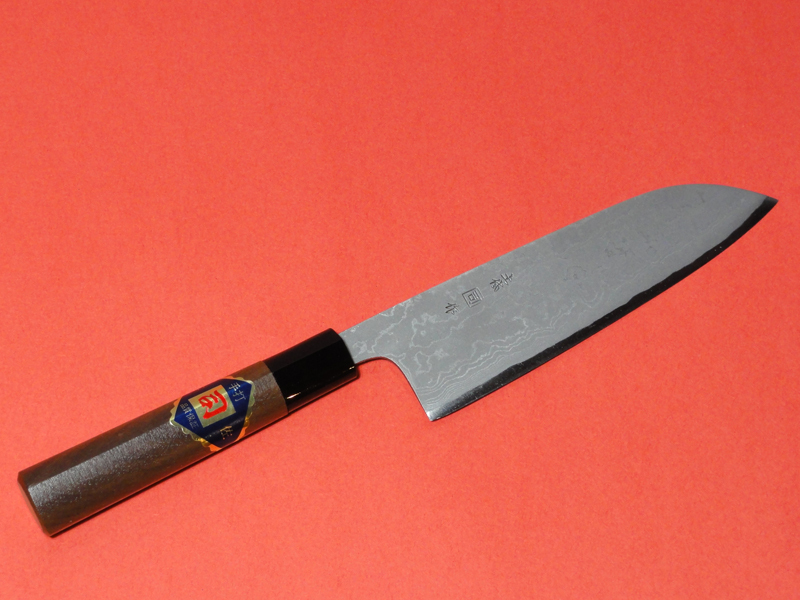 The knife is made of high carbon steel cutting edge, laminated to hammered iron. The knife is well known for its durability and long cutting edge. This is also easy to sharpen. This is a very practical, basic knife: only the cutting edge and the back side and sharpened and polished. 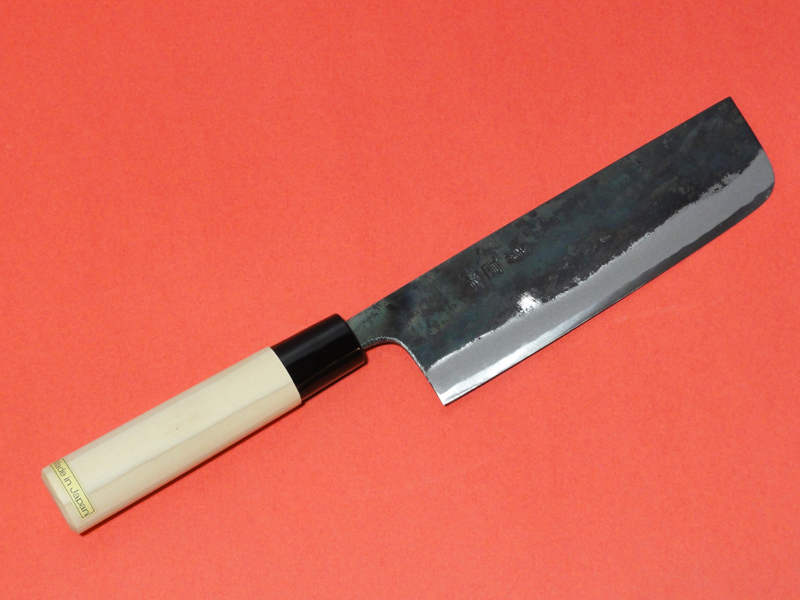 The blade is double-ground to handle heavier tasks such as cutting through the thick bones of large fish or chicken. This is a very practical. The blade is double-ground to handle light tasks such as cutting vegetables and paring vegetables and fruit. Funayuki is multi-purpose knife. The blade is thin and wide. 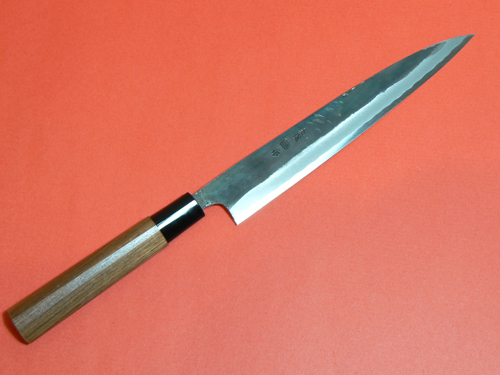 And Funayuki knife is double edge, more like Gyuto Style. Standard definition is that the knife was specifically made for fisherman for ease of handling on the boats. The warm color and natural grain of Walnut handle rounds off the natural pure appearance of the knife. Funayuki is multi-purpose knife. The blade is thin and wide. 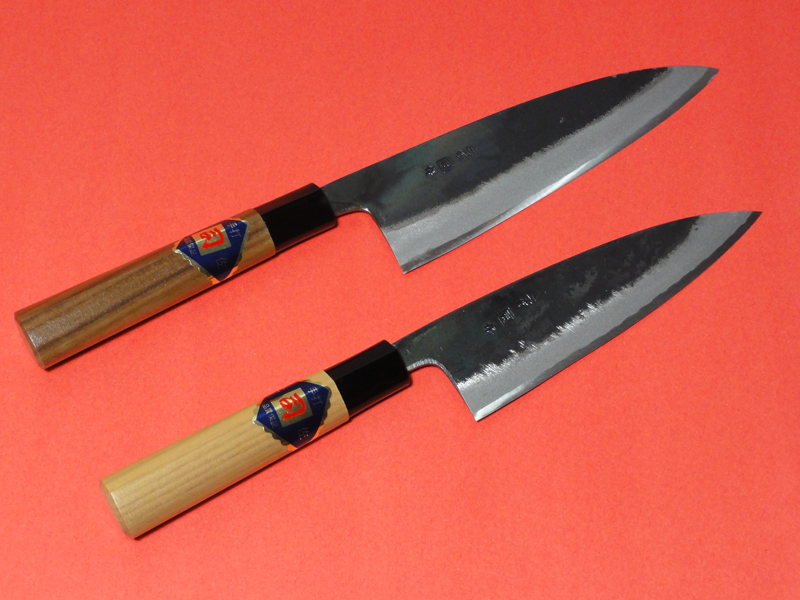 And Funayuki knife is double edge, more like Gyuto Style. Standard definition is that the knife was specifically made for fisherman for ease of handling on the boats. The warm color and natural grain of Magnolia handle rounds off the natural pure appearance of the knife. 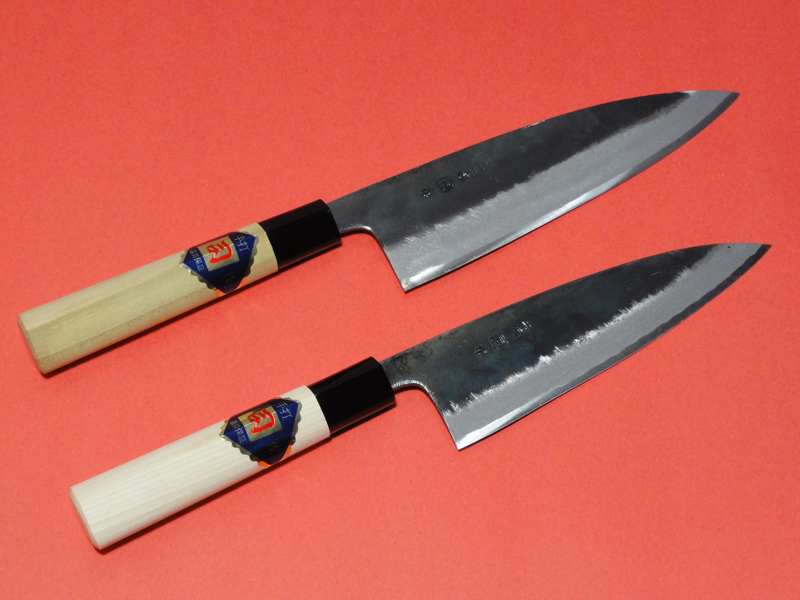 These knives are Santoku Original desigh. 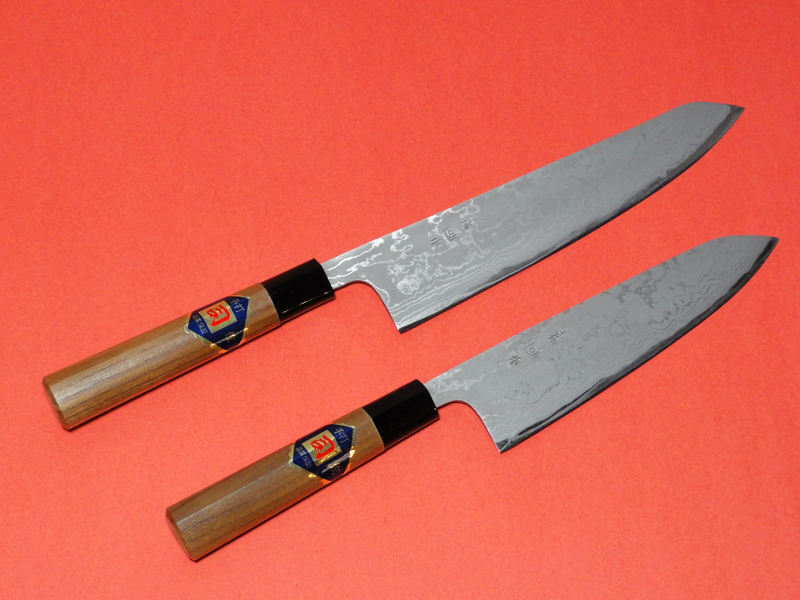 The blade is double-ground to handle heavier tasks such as cutting through the thick bones of large fish or chicken. 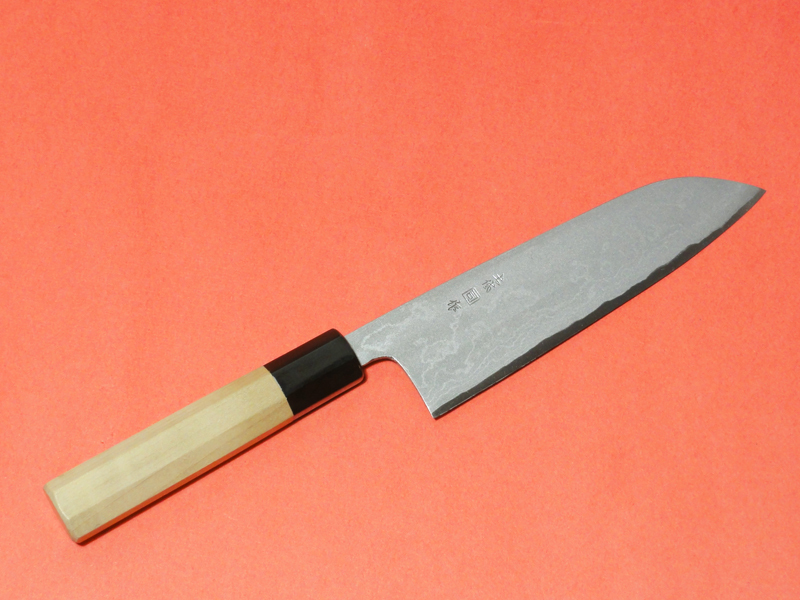 Kitchen knife with Suminagashi Grain ( Japanese Damascus). 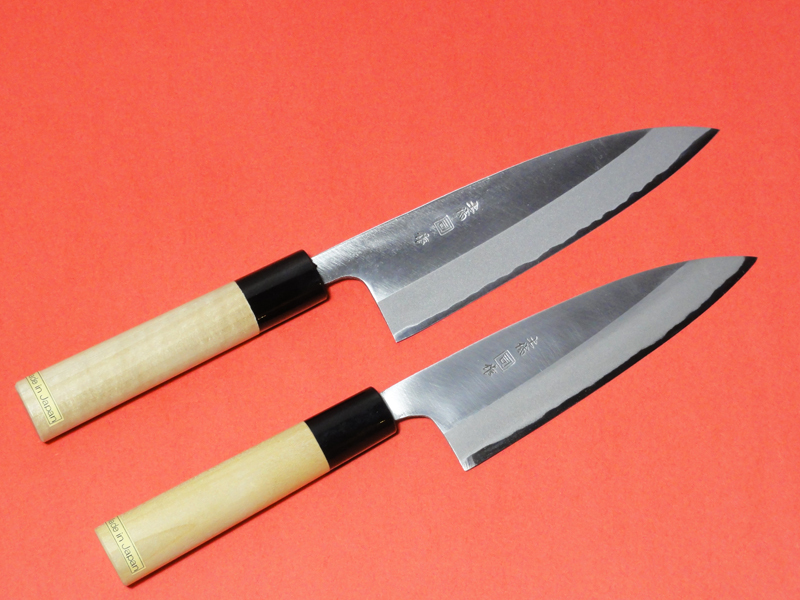 The multiple folding and forge-welding of the knife steel (Japanese Suminagashi) produces a fine wave pattern, which makes the blade of this 51steel layer hand forged kitchen knife. This material is Japanese Caron Steel “Tamahagane”. The grade is White steel. The warm color and natural grain of Walnut handle rounds off the natural pure appearance of the knife. A knife without frills.